When your portfolio of work consists of one or two dozen projects, it’s possible to keep track of what’s going on with spreadsheets or simple desktop tools. However, tracking projects, resources, and costs with standalone tools becomes increasingly more difficult as your project pipeline grows. This webinar will focus in two main topics. 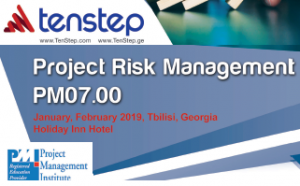 First we’ll discuss the critical connection between the project management and portfolio management processes. In the second part of this webinar, we’ll demonstrate how a solid end-to-end PPM software can support and even automate your project and portfolio management processes. The demonstration will be provided using Planisware, Enterprise Project, Product Portfolio Management software solutions that support the end-to-end governance of company portfolios. Join Tom Mochal, President of TenStep, and Michel Delifer, Sales Director at Planisware, in a discussion of these important topics. [image source_type=”attachment_id” source_value=”150″ align=”right” width=”300″ autoHeight=”true”] There are many companies that do not have common project management processes, templates, approach and skills. One initial observation is that companies that don’t manage projects well are usually run by senior managers who never learned formal project management themselves. It is hard for them to lead culture change around project management when they don’t understand the value themselves. In fact, sometimes these managers think of project management as a tool for managing projects, rather than as a process for doing the work. When they discover a tool isn’t involved, they lose interest. The company does not have committed sponsorship. Some managers want to hold a training class and hope that project management sticks. They don’t have a strong commitment to the culture change required to get better at managing projects. In large companies, it could take two to three years, or longer. The sponsor needs to be committed and focused long term to make the changes successfully. The entire organization is not included. It’s hard to be a good project manager in an organization that doesn’t value project management skills. For instance, if you take the time to create a Charter document, and your sponsor asks why you were wasting your time, you are probably not going to be very excited about the planning process on your next project. To be effective, the entire organization must be part of the project management initiative. The organization does not have a lot of pain around projects. This is very common, especially in small to medium sized organizations. In many companies, the projects are not under pressure to complete within fixed deadlines and budgets. They just need to be completed within a “reasonable” timeframe. In these companies, there is not much internal pressure to change the status quo. The organization is not scaling the processes and approach. A common criticism of methodology is that it is cumbersome, paper intensive and takes too much focus away from the work at hand. Sometimes this is a legitimate concern, caused by not scaling the methodology to the size of your project. For instance, if you were required to develop a fifteen page Project Charter even if your project is only 200 hours, you may have been turned off. This is not usually a methodology problem as much as it is a misapplication of the methodology. The project teams fight the changes. Many people want to solve problems and do their jobs creatively, with a minimum of supervision. They fear that project management techniques will result in controls that will take the fun out of the work. Without strong sponsorship, the project teams resist the change until the pressure goes away. There is a fear of the loss of control from management. If you really want to effectively implement a project management discipline at your company, you must give a level of control and authority to the project manager. Some organizations, and middle managers especially, do not want to lose that control. They may want people to coordinate the projects, but then they want to make all the decisions and exercise all the control. Formal project management will not be possible in organizations where this fear is prevalent. These are some common reasons why project management is not sponsored at companies, and when it is sponsored, why it does not always stick. However, almost every study that looks at project management shows that it is a discipline that will help project managers deliver on time, on budget and within client expectations. All companies should have a common project management process to maximize the chances for delivering their projects successfully.